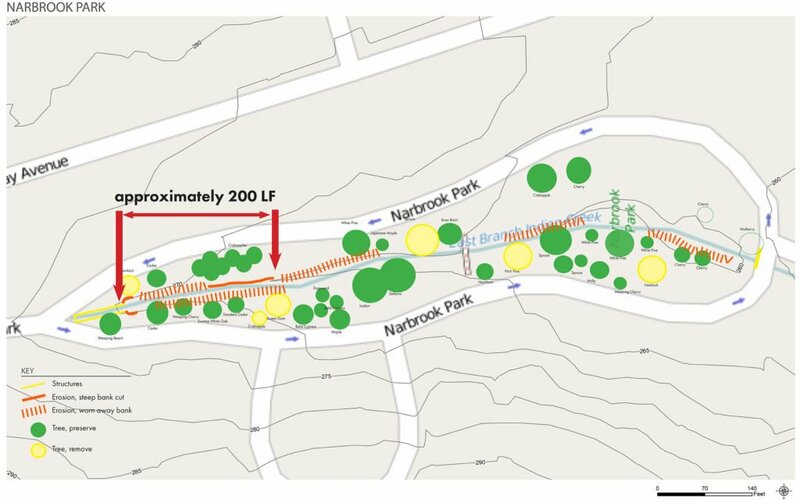 Working with the Lower Merion Conservancy, TEND provided landscape architectural services for the Narbrook Park Water Quality Improvement Project. 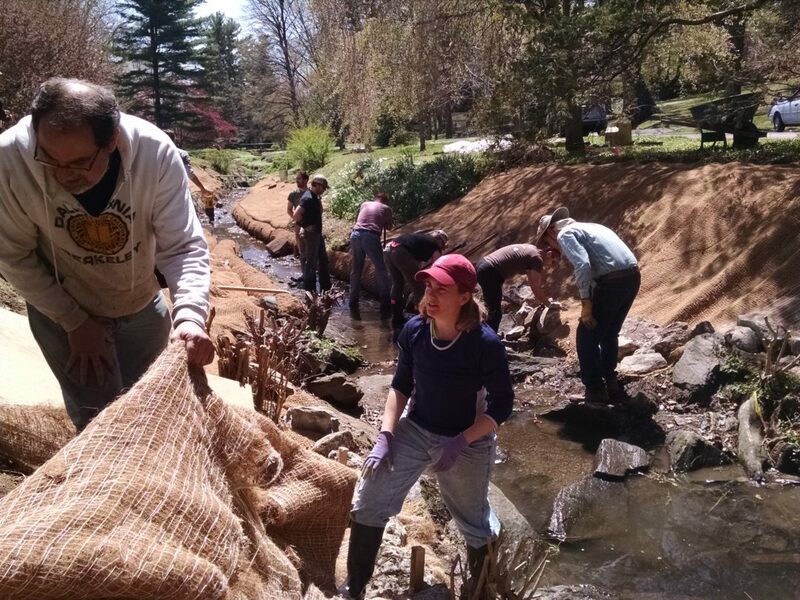 As one of the headwaters of the Cobbs Creek subwatershed, the Eastern Branch of Indian Creek is an important asset locally, to the Borough of Narberth, and regionally, to the entire Darby Creek-Cobbs Creek watershed. 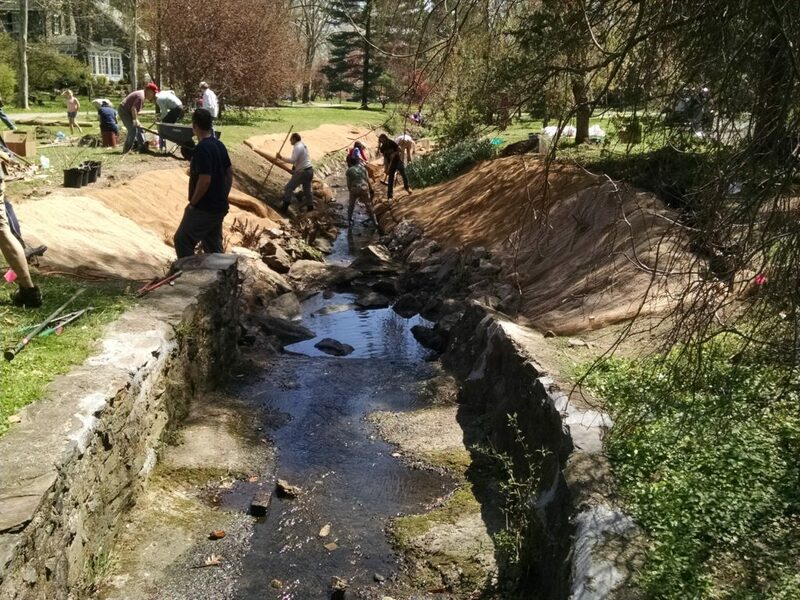 The creek’s impairment, as well as the need for mitigation of detrimental factors contributing to eroding streambanks and altered water quantity and quality made streambank stabilization necessary. 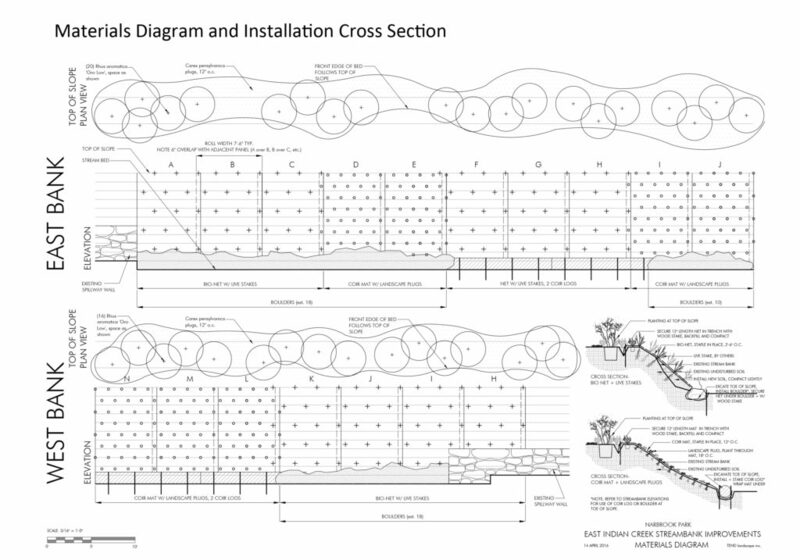 TEND’s approach combined basic analysis of the Creek with community education to determine a logical, informed, and community vetted early action project. TEND developed a series of trainings to assist LMC in providing homeowners and community, with educational information about stormwater management and environmental stewardship, as well as detailed a bio-engineering solution to the replanting of a portion of the streambank as a community project.